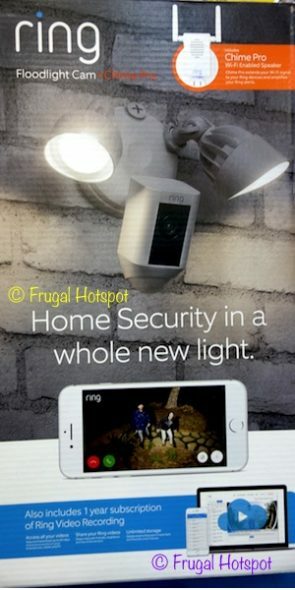 The Ring floodlight cam is a motion activated security camera and floodlight with 2-way talk and siren. 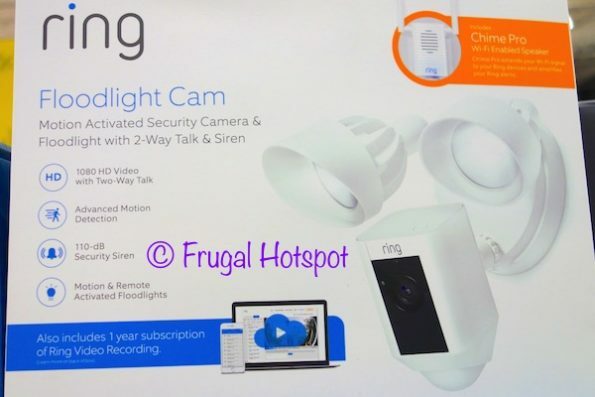 Select Costco locations have the Ring Floodlight Camera + Chime Pro on sale for $199.99 (after instant savings), now through April 26, 2019. That is $40 off Costco’s regular price of $239.99. While supplies last. Price and participation may vary by location. 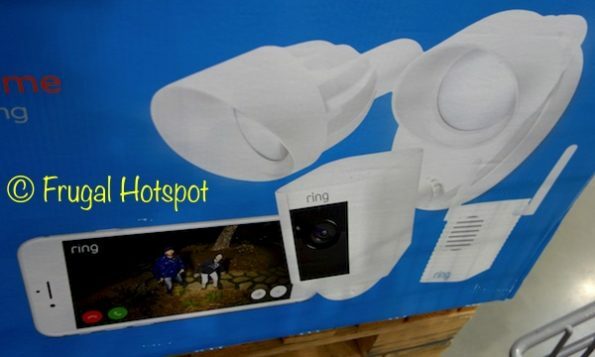 This package also includes Chime Pro and a 1 Year subscription of Ring Video Recording. Cell phone and tablet are not included. Item #1184572. This product was spotted at the Covington, WA location. Price and participation may vary so it may not be available at your local Costco or it may not be on sale at your local Costco or it may be a different price at your local Costco. Prices & sales dates may change at any time without notice. Photos may not be a perfect representation of the product.